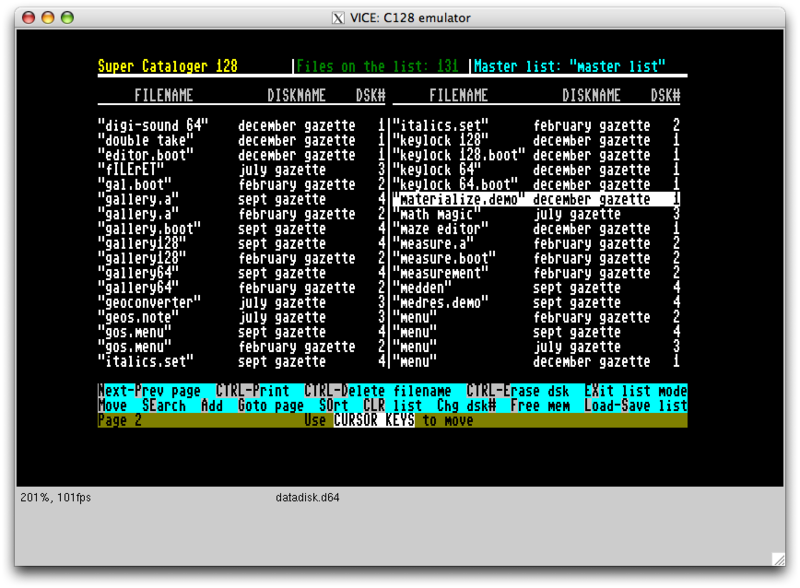 I found the files in this archive of Gazette disks (the program is in file 089SEP91.ZIP), extracted them using the Power64 emulator, and decoded the program listing using David Viner’s Commodore Basic Program Lister. 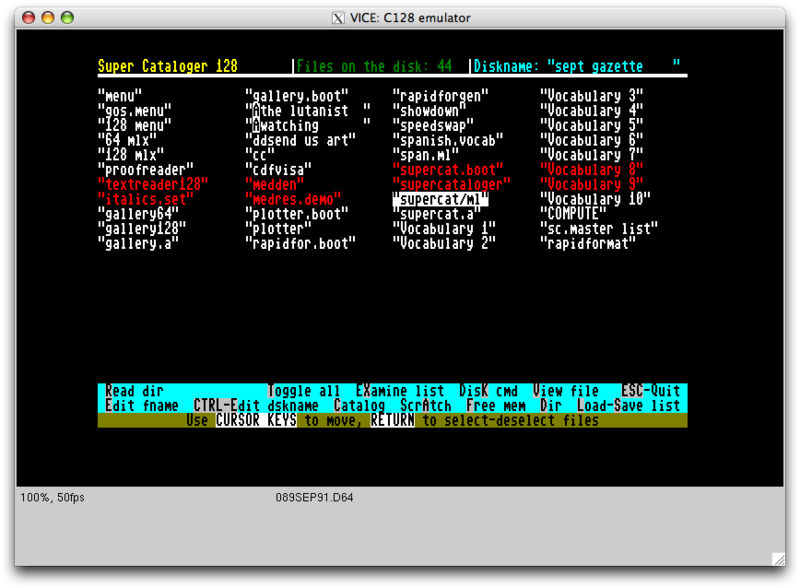 For extracting the text of the article I used the VICE emulator’s feature for emulating a printer using a text file. And because no program description is complete without screenshots, here they are. Full screen interface, fancy editing capabilities… not too shabby for 282 lines of code! Wow! Very proud of you.